Parañaque, officially the City of Parañaque, (Tagalog: Lungsod ng Parañaque, Tagalog pronunciation: [paɾɐˈɲäke̞]), or simply known as Parañaque City, is a 1st class highly urbanized city in Metro Manila, Philippines. According to the 2015 census, it has a population of 665,822 people. It is bordered to the north by Pasay, to the northeast by Taguig, to the southeast by Muntinlupa, to the southwest by Las Piñas, and to the west by Manila Bay. Like the rest of Metro Manila, Parañaque experiences a tropical climate with only two distinct seasons, wet (July to September) and dry (October to June). The city enjoys an annual rainfall of 1,822 millimetres (71.7 in) and an average daily maximum temperature of 34.4 °C (93.9 °F). Parañaque is the home of the PAGCOR Entertainment City, a gaming and entertainment complex under development by the state owned Philippine Amusement and Gaming Corporation spanning an area of 8 km2 (3.1 sq mi) in Bay City, where four large integrated resorts are based namely Solaire Resort & Casino, City of Dreams Manila, Okada Manila, and the soon to be completed Westside City Resorts World. There are several accounts as to how Parañaque got its name. One such story stated that long ago, at the mouth of what is now known as the Parañaque River, there stood a balete tree that, when viewed from afar, looked like a majestic ship. This earned it the name Palanyag, taken from the term "palayag", which means “point of navigation”. Another version of the story was that, before the Spanish colonizers came to the Philippines, there were some natives who lived close to the Manila Bay whose main livelihood was fishing or pangingisda. On the other hand, the neighboring place from the east called Muntinlupa had rice farmers who were referred to as taga-Palayan. One day, the fishermen and rice farmers had a feast and many got drunk from tuba or fermented coconut wine. One farmer suggested that they should name the whole place Palayan as a sign of cooperation and goodwill between them. However, a fisherman protested and stated that they should name it Palalayag instead. As a compromise, they agreed to merge these two words and came up with Palalanyag. However, another drunken guest shouted, “Mabuhay ang Palanyag at ang mga taga-Palanyag!” The rest liked this word better and ever since then, the place was called "Palanyag". In another story handed down to generations, when the Philippines was conquered by the Spaniards, some soldiers riding a horse-drawn carriage asked to be taken to a certain place. However, the coachman did not understand the Spanish soldier’s pronunciation. When they arrived, one of the soldiers said, “Para aqui, Para aqui” meaning, “Stop here, stop here.” The coachman did not understand and kept going whereas the soldier also repeated his instruction, “Para aqui, Para aqui”. The coachman left the carriage and told the townspeople that, “These Spaniards are repeatedly saying para aniya ake... para aniya ake” to which the townspeople just laughed. The incident circulated and was repeated around for days and the term "Para Aniya Ake" stuck. Due to their proximity to the sea, the early Parañaqueños traded with the Chinese, Japanese, Indonesians, Indians and Malays. Traditional livelihoods included salt-making, fishing, planting rice, shoemaking, slipper-making and weaving. Parañaque was officially founded in the year 1580 by Order of Saint Augustine and it was Fray Diego de Espiñar, O.S.A. who became the first minister of the town. The Council of the Definitors (a conference of chiefs of the religious orders) held on 11 June 1580 (Conquistas delas Islas of Fray Gaspar San Agustin, O.S.A.) accepted the village of Palanyag, as Parañaque as an independent pueblo. 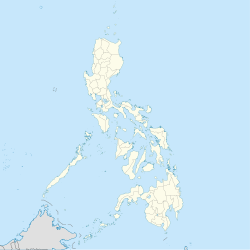 Other towns in the islands which simultaneously established on the same date according to the 1580 chapter of the Augustinians was; Malolos (in Bulacan) Bulacabe (in Panay) Bantayan (in Cebu). The image of Palanyag's patroness, Nuestra Señora del Buen Suceso, was brought to St. Andrew's Cathedral in La Huerta on August 10, 1625. Nuestra Señora del Buen Suceso is the third oldest Marian Image in the Philippines. Early Spanish census dated 1591 to 1593 also mentioned Longalo (or Don Galo) and Parañaque as two villages along Manila Bay composed of some 800 tribute-payers. Politically, Don Galo and Parañaque were then under the Encomienda and Provincia de Tondo. The community was headed by cabezas de barangay, a westernized version of datus (chieftains), and the principalia, the local aristocrats, who together justified and moderated the demands of the Spanish colonizers. Education was limited to the principalia as they were the only ones who could afford it. Historical accounts state that the town's strategic location enabled the townspeople to play an important role in Philippine history. Palanyag was located at the crossroads of Manila, between the provinces of Cavite and Batangas. In 1574 during the invasion of the town by the Chinese pirate Limahong, Parañaquenos, particularly those from Barangay Don Galo, heroically aided in preventing the attack in Manila. This incident became known as the "Red Sea Incident" due to the blood that flowed through the sacrifice of the people of barrio Sta. Monica. With the arrival of Spanish forces led by Captain Juan de Salcedo from Ilocos, Limahong was finally repulsed and the occupation of the town was prevented. When the British invaded Manila in 1762, the townspeople once again remained loyal to the Spanish colonizers, especially the Augustinians. The invasion however showed that the Spaniards was not invincible and that their rule was not to be permanent. More than a hundred years later, this would prove to be true. During the Philippine Revolution of 1896-1898, the Spaniards realized that the town was a practical gateway to Cavite, the bastion of the revolutionary Katipuneros. Conversely, the Katipuneros based in Cavite saw the town as their gateway to Intramuros, the Spanish seat of government in Manila. Prominent Paraqueños such as Manuel Quiogue and secular priest Father Pedro Dandan y Masangkay became leading revolutionary figures. During the American Period of the Philippines, Parañaque became one of the first municipalities in the Metro Manila region. A burning building along Taft Avenue which was hit during the Japanese air raid in Barrio Parañaque, 13 December 1941. During the Japanese occupation of the Philippines in World War II, Parañaque supplied leadership to guerilla movements such as the ROTC Hunters, as well as food and arms. Parañaque was one of the first towns to be liberated and its guerillas helped pave the way for the combined American and Philippine Commonwealth forces to enter the south of Manila. As can be gleaned from the above, Parañaque has played and continues to play a strategic role in the Philippines' political and economic progress, as shown by the quick recovery the town shown following the damage it incurred during the long Battle of Manila in 1945. Owing to Parañaque's strategic location, it is an important centre for trade and business in Metro Manila. Baclaran, where a large number of dry goods stores are located, is one of the busiest markets in the country. Small fishing villages called “fisherman’s wharves” are also situated alongside Barangay La Huerta, where the famous DAMPA, a seaside market with numerous restaurants serving fresh seafood, is found. This has the country’s international airport and the Duty Free Philippines for imported goods. and of course Ang Bagong Nayong Pilipino Entertainment City where three (3) integrated resorts (IR) licensed by PAGCOR - Philippine Amusement & Gaming Corporation are located. November 8, 1975: Parañaque was a municipality of Rizal, until November 7, 1975, by virtue of Presidential Decree No. 824, when Parañaque became a part of Metropolitan Manila or the National Capital Region. November 1975: Parañaque celebrated its 395th anniversary of a former municipality before it was part of NCR a month later. February 15, 1998: Parañaque was converted as the 11th city in Metro Manila (after sister city Las Piñas in 1997), and was chartered and urbanized by then President Fidel V. Ramos during the celebration of the city's 418th Founding Anniversary. October 9, 2018: The very 1st landport in Parañaque City was officially opened. Parañaque is situated in the southern portion of Metro Manila. It is subdivided into two distinct districts, each of which contains eight barangays. District I comprises Baclaran, Tambo, Don Galo, Sto. Niño, La Huerta, San Dionisio, Vitalez and San Isidro, while the District II consists of Barangays BF, San Antonio, Marcelo Green, Sun Valley, Don Bosco, Moonwalk, Merville and San Martin de Porres. Parañaque is composed of two congressional districts and two legislative districts which are further subdivided into 16 Barangays. legislative District 1 consists of eight barangays in the western half of the city, whilst legislative District 2 consists of eight barangays in the eastern part of the city. The native language of Parañaque is Tagalog, but the majority of the residents can understand and speak English. Most of Parañaque's population are Christians, mainly Roman Catholic. Roman Catholic churches in Parañaque are under the jurisdiction of the Diocese of Parañaque. There are two National Shrines, the National Shrine of Our Mother of Perpetual Help (commonly known as the Baclaran Church or Redemptorist Church) and the National Shrine of Mary Help of Christians; the Parañaque Cathedral or the Cathedral Parish of St. Andrew is the oldest church in Parañaque and the mother church of the Diocese of Parañaque. There are about 20 parishes and 2 sub-parishes. Other Christian denominations include Iglesia ni Cristo and Ang Dating Daan. There are also a number of non-Catholic (primarily Protestant) churches in Parañaque. El Shaddai is centered in the city. There is also a minority of Muslims, primarily living on Baclaran. There are 2 mosques in Parañaque. Parañaque also relies on shopping centers as part of its economy. The principal malls include SM City Sucat (opened in July 2001), SM City Bicutan, and SM City BF Parañaque (opened in 2016), all owned and operated by SM Supermalls of SM Prime Holdings. Robinsons operates one mall inside BF Homes and one supermarket. There are also smaller malls like Jaka Plaza, Pergola Lifestyle Mall, Aseana Square Mall and Noah's Place Mall. Walter Mart has two malls of its franchise inside Parañaque. Duty Free Fiesta Mall is also located in Parañaque. Baclaran functions as the city's flea market, primarily selling clothing, especially school uniforms and costumes. Hotels and gambling also form part of Parañaque's econonomy. Integrated resorts Solaire Resort & Casino, City of Dreams Manila and Okada Manila attract foreign tourists. Closed in 2014, Casino Filipino once served as a casino in the city until the opening of Ang Bagong Nayon Pilipino or Entertainment City, in parts of barangays Tambo and Don Galo. Cockfighting is also common in the barangays. The Roligon Mega-Cockpit, found in Tambo, is considered as the largest and most modern cockpit in Asia. Parañaque is famous for its lively festivals, such as the caracol, a festival that revolves around boats. Parañaque has the Sambalilo Festival a festival that showcases different colors, sizes, and designs of the Sambalilo hat. The Sunduan Festival is a tradition in the city that depicts the act of a man fetching the object of his affection from the woman’s home to bring her to church or the town plaza. Both festivals are held around February 13-15 for the cityhood of Parañaque's annual anniversary. The city stages the cenaculo, a reenactment of the passion of Christ, during Holy Week, the Pasko ng Pagkabuhay during Easter, and the Santacruzan, a procession reenacting the search of the True Cross of Christ, in May. Shortly thereafter, the colorful Flores de Mayo, a festival commemorating the discovery of the cross by Queen Elena (mother of St. Constantine) is held. An outstanding feature of this historic town by the bay is the cultivation of its cultural traditions such as the komedya and bati-bati, among others, that continue to attract local and foreign tourists alike, especially during the summer months. Parañaque is known for sabong, a form of cockfighting constrained in coliseums. Welcome marker over Dr. A. Santos Avenue near SLEX. Dr. A. Santos Avenue, formerly called Sucat Road, functions as Parañaque's main thoroughfare. Parañaque is served by the LRT-1 (via Baclaran Station which is located in Pasay City) and the PNR (via Bicutan station). The LRT-1 is to be extended to Bacoor. The actual construction will start in April 2019 once the obstructions in Right-of-way are removed. The actual construction will start from Baclaran to Sucat. The groundbreaking of LRT Line 1 South Extension Project was held on Thursday, May 4, 2017. Once its completed, Parañaque will be served by the LRT-1 (via Redemptorist Station, Manila International Airport Station, Asia World Station, Ninoy Aquino Station and Dr. A. Santos Station). The extension from Baclaran to Niog, Bacoor, Cavite will be finished by fourth quarter of 2021. Parañaque is the location of Terminal 1 of Ninoy Aquino International Airport, as the airport complex sits on the Pasay-Parañaque border. It is located along Ninoy Aquino Avenue and many major international airlines operate flights from the terminal. Parañaque is served by a network of expressways and arterial roads. Expressways, like Manila-Cavite Expressway, and Metro Manila Skyway connects the city with the rest of Metro Manila and Calabarzon. The at-grade portion of Metro Manila Skyway in Parañaque has two service roads, namely the West Service Road and East Service Road, which both serves the communities and businesses lying near the expressway. The NAIA Expressway is the airport expressway that connects NAIA Terminal 1, Manila-Cavite Expressway, Metro Manila Skyway and also the Entertainment City under development on the reclaimed area. Dr. Santos Avenue (formerly Sucat Road), Roxas Boulevard, Doña Soledad Avenue and Elpidio Quirino Avenue functions as the city's principal arterial roads. Carlos P. Garcia Avenue (C-5 South Extension), which has been involved in land ownership controversies involving then Senator Manny Villar, and C-6 Road, which is proposed to be an expressway, serves as secondary arterial roads. BF Homes Parañaque is served also by a network of arterial roads, serving residential and commercial areas within it. Similar to other cities in Metro Manila, public utility vehicles (PUV) such as buses and jeeneys ply throughout Parañaque to serve commuters. The Paranaque Integrated Terminal Exchange (PITx) is located in Barangay Tambo and serves as an intermodal transport hub for PUV's. PITx is also planned to connect with the future Asia World LRT-1 station. Parañaque has a diverse educational system with specializations in various academic and technical fields and is home to many schools and colleges such as PATTS College of Aeronautics which focuses on producing students specialized in the realm of Aviation around the world, Olivarez College, the only school accredited with both the Philippine Accrediting Association of Schools, Colleges and Universities (PAASCU) and the Philippine Association of Colleges and Universities - Commission on Accreditation (PACUCOA) which specializes in Health Related Sciences such as Nursing, Radiologic Technology, Physical Therapy, and Midwifery, Parañaque Science High School, St. Andrew's School (oldest private school in Parañaque, established 1917), St. Paul College of Paranaque, Manresa School, Sacred Heart School and Ann Arbor Learning Center amongst many others. Michael Christian Martinez - Filipino figure skater who represented the Philippines at the 2014 Winter Olympics and the 2018 Winter Olympics. ^ "Province: NCR, FOURTH DISTRICT (Not a Province)". PSGC Interactive. Quezon City, Philippines: Philippine Statistics Authority. Retrieved 12 November 2016. ^ "Physical Profile". About the City. Parañaque City. p. 15. Archived from the original on 2013-06-30. Retrieved 7 March 2013. ^ a b "Parañaque City Official Website". paranaque.gov.ph. Archived from the original on 2013-11-18. Retrieved 2016-10-28. ^ "Province of Metro Manila, 4th (Not a Province)". Municipality Population Data. Local Water Utilities Administration Research Division. Retrieved 17 December 2016. ^ "Parañaque Terminal Exchange Starts Commercial Operations Nov. 10". Entrepreneur.com.ph. Retrieved 2018-11-11. ^ "Parañaque City transfers all public utility vehicle terminals to PITX". Manila Bulletin News. Retrieved 2018-11-11. ^ "LOOK: The Parañaque Integrated Terminal Exchange". Rappler. Retrieved 2018-11-11. Wikimedia Commons has media related to Parañaque City. Wikivoyage has a travel guide for Parañaque.